Online ordering menu for The Philadelphia Sandwich Company. 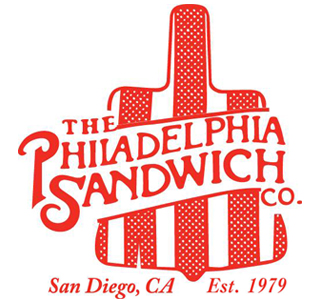 Philadelphia Sandwich Company is the place to go for the best Cheese Steak and Hoagies in San Diego. Our top secret recipe on a Hearth Baked Amoroso Roll and fresh ingredients will quickly make you a fan! We promise that once you have a taste, you will definitely be back again soon. Order online for carryout or delivery today! We are located on Miramar Rd and Commerce Ave in the Miramar Village Shopping Center, just a few minutes from the University of California San Diego.